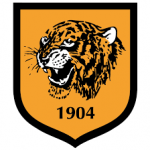 After recording successive Premier League wins for the first time since January, Albion head to the KC Stadium on Saturday looking to make it a hat-trick against struggling Hull City. Should the Baggies take all three points on Saturday, it will the first time since November 2012 that they will have recorded three successive Premier League victories – on that occasion, during the blistering start to the season under Steve Clarke, Albion went on to make it four successive wins. They did manage three successive wins in September last year under then Head Coach, Alan Irvine, but the second of those was a League Cup win over Saturday’s opponents, Hull, while the third was the previous 4-0 win over Burnley. However, the Tigers have a good record against Albion in the Premier League with the Baggies victorious on just one occasion, the 1-0 win at the Hawthorns in January last year, and Albion have not won at the KC Stadium since 2008 when Tony Mowbray’s men won 3-1 on the way to the Championship league title, their biggest win in Hull. In fact, the Baggies have won just seven times at either the KC Stadium, Boothferry Park or City’s first stadium, Anlaby Road, with five of those victories coming in their last ten visits. If you discount the Anglo-Scottish Cup fixture in 1975, Albion went 83 without a win in Hull from 1906 to 1989 although, to be fair, the clubs didn’t meet for 37 of those years between 1936 and 1974. Back to the present day, current Tigers boss, Mike Phelan, started the season as caretaker manager after Steve Bruce walked out on the club in the summer, and after winning their first two games, including an opening day victory at the home of the defending champions, there were instant calls for his position to be made permanent. However, they picked up just one point from their next five games, including heavy defeats to Arsenal and Liverpool, before the former Manchester United player was finally confirmed during the October international break. Unfortunately, it didn’t seem to help as Hull crashed to a 6-1 defeat at Bournemouth and have lost every game since bar a 2-1 win over Southampton earlier this month. Phelan, who played 23 times for Albion in the mid-90s at the end of his career, has a mammoth task on his hands, particularly following last Saturday’s 3-0 defeat at Sunderland that lifted the Black Cats off the bottom of the table to within two points of Hull City who now sit in 18th place with 10 points. It is still early days, however, and a couple of wins can completely change the face of your season as Albion have proved. The wins over Leicester and Burnley have moved the Baggies up from 15th place to 9th, and when you consider that both those victories were achieved without player of the season to date, Nacer Chadli, there is a sudden air of optimism at the Hawthorns that has been missing for the majority of Tony Pulis’s reign. I’ve thought all season that Albion’s approach to matches had become generally more positive, but the results early on didn’t necessarily reflect that. But after the tactical abomination that was the first half against Manchester City, things have started to go right. There may have been a touch of fortune about Phillips’s winner at the King Power Stadium, but Albion fully deserved their victory, and as Pulis revealed in his post-match interview on Monday night, he pretty much out-thought the gravel-mouthed Ginger Mourinho by allowing Burnley the ball and hitting them on the break. In fairness to Pulis, his tactical approach hasn’t changed too much, it’s just that this season, the players have been much quicker in the transition and generally more clinical in front of goal. Chadli’s pace, energy and quality have made a massive difference this season and, with Morrison returning to full fitness as Chadli went under the knife, the Scottish international has been able to slot into the slot behind the striker and carry on the good work – it does leave Pulis with a selection dilemma when they are both fit. One massive difference in the last two games, and Monday night in particular, has been the form of Darren Fletcher. Undoubtedly Albion’s player of last season, the skipper’s performances this season had been way below what we had come to expect, and I was beginning to wonder whether he was coming to the end of his usefulness in the way that Joleon Lescott did. However, he was back to his best again against Burnley, with the quickness of thought, precise passing and calmness under pressure that we have all appreciated. Whether he had been feeling under the weather or carrying a slight knock, I’m not sure, but he returned from Scotland’s less than impressive International week looking refreshed and raring to go. One other big plus this season has been Salomón Rondón. He was excellent against Burnley and fully deserved his goal, but his performances all season have been impressive. He is finally looking like the striker we all hoped he could be, and having taken a while for him to settle into England and the Premier League, let’s hope this is the start of a goalscoring run. Despite appearances on Monday night, there are no easy games in the Premier League, but Albion couldn’t hope for a better chance of recording successive away victories in the Premier League for the first time since September 2015. I see Albion’s form continuing and them coming away with a narrow victory.